The Ontario government has announced a framework to manage the sale and use of marijuana, which includes an online ordering service and roughly 150 stand-alone stores. Eighty stand-alone stores that will be open by July 1, 2019, with roughly 150 opened by 2020. Online distribution that will be available across Ontario from July 2018 onward. A proposed minimum age of 19 to use, purchase and possess recreational cannabis in Ontario. 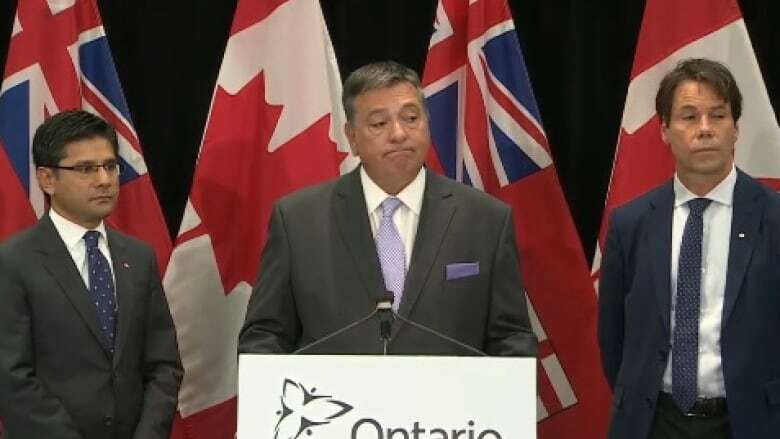 Attorney General Yasir Naqvi, Finance Minister Charles Sousa and Health Minister Eric Hoskins unveiled the plan, which makes Ontario the first province or territory in Canada to publicly announce a comprehensive framework. The plan means the LCBO will oversee the legal retailing of cannabis across the province through the new stand-alone stores and an online ordering service — meaning cannabis and alcohol will not be sold alongside each other. It also stipulates the use of recreational cannabis will be prohibited in public places, cars and workplaces, and will only be allowed in private residences. It will also be prohibited for anyone under the age of 19, giving police the power to confiscate small amounts of pot from young people. A main goal of the plan will be "stopping the sale of illegal, unregulated and unsafe cannabis," Naqvi said at Friday's news conference. The plan means that illegal pot shops in Ontario will be shut down, with the province pursuing a co-ordinated strategy with local police forces, the OPP and the federal government. "If you operate one of these facilities, consider yourself on notice," Naqvi said. When it comes to retail and distribution, the province fleshed out the strategy, which will include the storefronts and online ordering. "Trained and knowledgeable staff will sell products in a safe and socially responsible manner to restrict access for minors and give consumers the information they need," reads a statement from the Ministry of Finance. Ontario will not permit products to be visible to youth and will require a behind-the-counter retail environment similar to how cigarettes are sold. There will be no self-service. There will be mandatory training for retail staff. As for online sales, the ministry said it will ensure "secure and safe" delivery across Ontario. Similar to alcohol sales, online cannabis sales would require ID checks, signatures upon delivery and no packages left unattended at someone's door. Ontario's announcement follows legislation introduced in the House of Commons in April to legalize and regulate the sale and distribution of marijuana on or before July 1, 2018. Many of the decisions about how the drug will be sold and taxed are being left to the provinces. At a premiers meeting in Edmonton in July, they announced they would ask the federal government to postpone legalization if issues related to road safety, taxation, training for distributors and public education are not addressed. The premiers said they would report back on progress by Nov. 1 and would seek such an extension if the federal timetable was deemed "unrealistic." Shortly after the premiers' announcement, Prime Minister Justin Trudeau said his government intends to stick to the July 2018 deadline. Already, people are criticizing aspects of Ontario's plan. Mike Schreiner, leader of the Green Party of Ontario, feels it misses the mark. "Having limited retail outlets across Ontario for legal marijuana will do virtually nothing to combat the huge illegal market," he said in a statement. 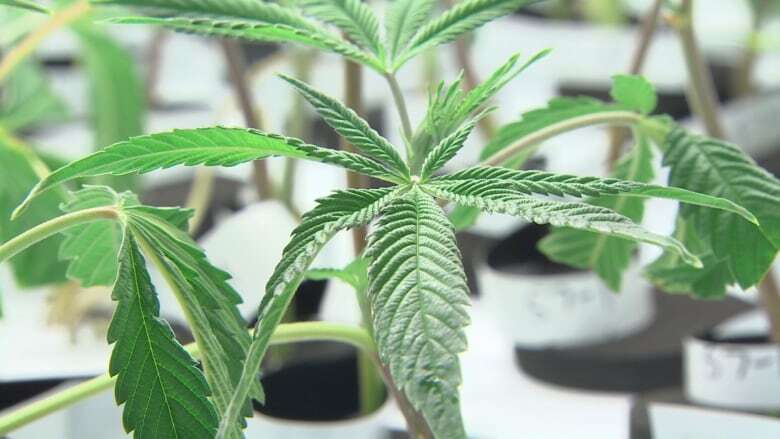 Several prominent cannabis activists are also slamming the plan, including Eric Nash and Wendy Little, two Canadian cannabis industry consultants who tweeted their concern about not enough cannabis stores being opened by the province. For legalization to work, there needs to be a cannabis retail outlet in every tiny rural community in Canada, or black market will continue. 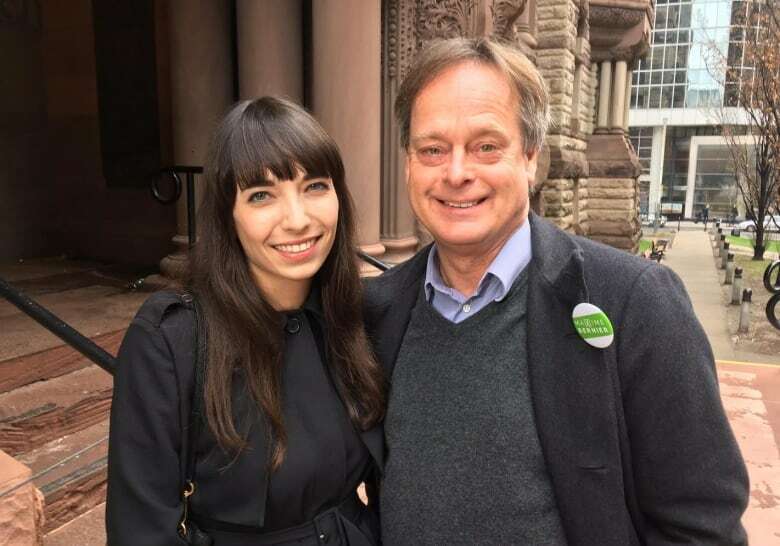 High-profile cannabis supporter Jodie Emery tweeted it's "disgusting" that police and politicians who fought against legalization are now "cashing in on legal pot." She also stressed that she and husband Marc Emery still face serious charges in connection to their Cannabis Culture pot shops. Health experts are also questioning the province's direction. "Considering the well-established network of LCBO stores across the province, and the well-established policies LCBO staff follow with respect to age of majority and Smart Serve, I don't understand why the government wants to build another stand-alone entity for cannabis sales to the public," said Scott Leatherdale, an associate professor in Waterloo's School of Public Health and Health Systems and the CIHR-PHAC Applied Public Health Research Chair in youth health. Leatherdale said the plan will be expensive and could help to maintain criminal activity. Camille Quenneville, CEO of the Canadian Mental Health Association, called early details about the province's announcement "promising," but expressed concern over how the government will use revenue generated from cannabis sales. "We've recommended in a recent submission that all revenue should fund mental health and addictions services in Ontario because there is a correlation between cannabis consumption and mental health and addictions issues," she said in a statement.